150 years ago, the opening of Hayes & Harlington station led to a dramatic shift in Hayes’ fortunes. Now, with Hayes & Harlington due to become part of the Crossrail network, improvement works are transforming the area around the station once more, adding to Hayes’ already strong credentials as one of West London’s most attractive residential locations. Elizabeth Line services will start running from Hayes & Harlington station in 2019. The reduced journey times from Hayes into central London (Bond Street and Farringdon will be accessible in 25 minutes, Canary Wharf in 34) are expected to lead to a surge in use of the station. At the same time, the Mayor of London has committed to increasing train services to Hayes & Harlington to ten trains per hour during peak periods, which is again expected to drive up usage. In light of this anticipated increase in use, works have been planned to help the station adjust to the increased footfall. 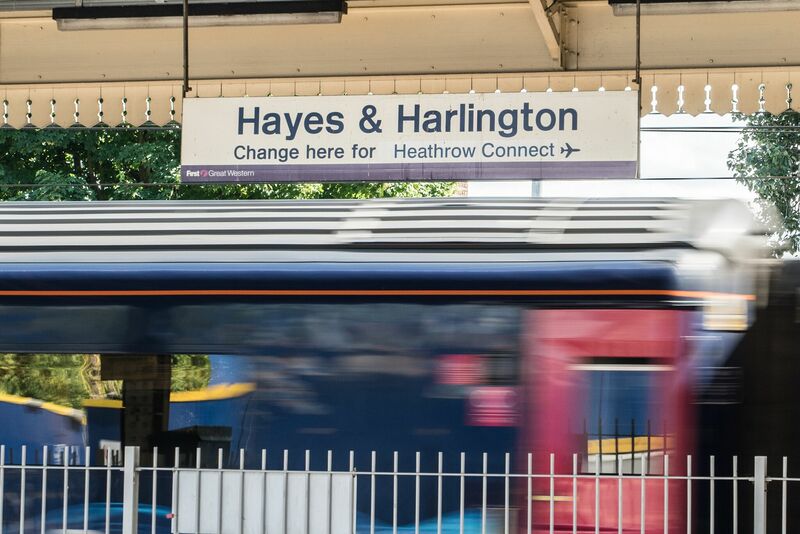 Rather than simply undergo a makeover, Hayes & Harlington will be transformed into a brand-new station. The existing station, which is built on a bridge above the train tracks, will be replaced with a brand-new station just to the north. Like all stations on the Elizabeth Line, it will provide step-free access to all trains. 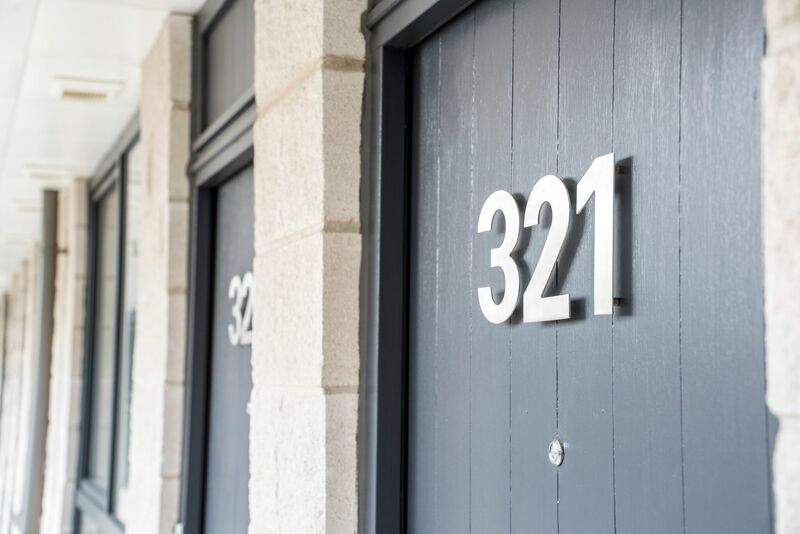 Just a three-minute walk from Hayes & Harlington station, the Gatefold Building is providing Hayes residents not just with superior quality homes, but with an outstanding array of on-site amenities. The spacious, open plan apartments have been purpose-designed with renters and sharers in mind, making them ideal for contemporary professionals. Large, airy kitchens and living rooms open onto either a garden or a balcony, while bedrooms have en-suite bathrooms wherever possible. 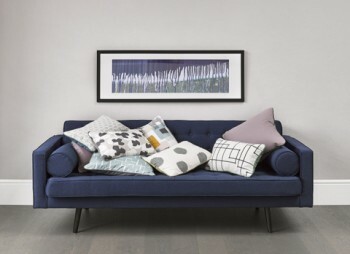 Tasteful, durable designer furniture from Habitat also means that residents can live in style, just minutes from an easy connection to London. The area surrounding Hayes & Harlington station will be upgraded in order to cope with the increase in traffic on nearby roads. Additional provision will also be made for those accessing the station on foot and by bicycle. The planned improvement works will also see a ramp created from Station Road to Blyth Road, meaning that disabled access from the Gatefold Building to Hayes & Harlington will be improved. The investment in Hayes’ future as a result of the Crossrail improvement mirrors that taking place on the Old Vinyl Factory site. Whichever angle you look at it from, Hayes is undergoing significant change, with services being upgraded as well as the physical environment. At the Gatefold Building, for example, residents enjoy their own dedicated on-site management team, an online tenancy process, free broadband and a host of other benefits. Prices at the Gatefold Building’s 119 apartments start from £1,250 pcm for a one-bedroom apartment and from £1,450 for a two-bedroom home. 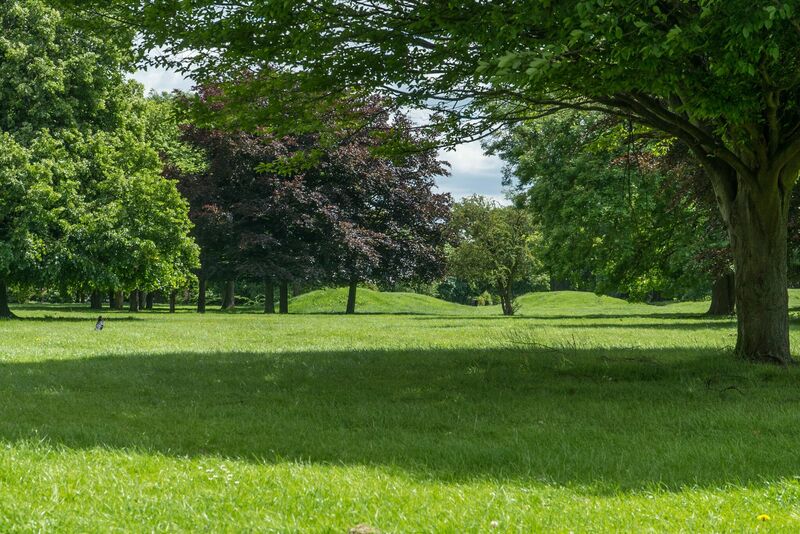 Marked by the international Green Flag awards, announced on 16 July 2018, Loves Parks Week runs from 13 to 22 July 2018 with the West London town of Hayes scooping an impressive 12 Green Flags for its unique offering of parks, meadowland, garden centres and open spaces. Research from Keep Britain Tidy shows that 75% of children want to spend more time outdoors, with the average child visiting outdoor spaces three times per week. Sadly, parents report that they don’t have time to take their children to the park, with this being cited as the main reason for their children’s lack of time outdoors. However, the abundance of parkland on offer in areas like Hayes can help to combat this. By opting to live in an area with so many Green Flags, parents never need go far in order to allow their children the freedom to run and play in the great outdoors. 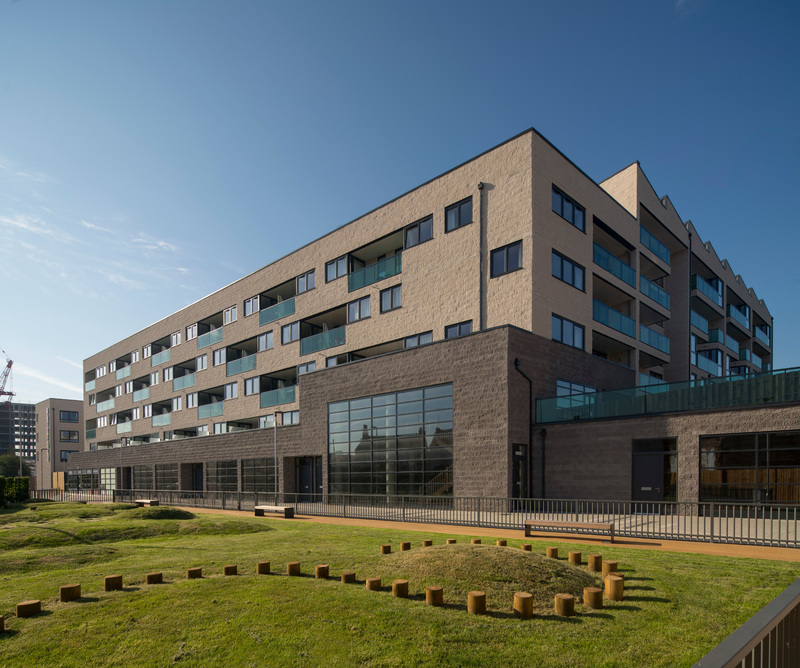 At the popular Gatefold Building, which is brought to Hayes residents by the innovative be:here, outdoor space is included as a valuable element of everyday life. Every home comes with outdoor space – many have balconies, while others have their own 30 foot private gardens, which are ideal for children who want to spend more time outdoors (as well as for cats and dogs – the Gatefold Building has a pet-friendly policy that welcomes four-legged family members). Not only that but residents can also enjoy the 7,000 sq ft roof terrace with seating areas, planting and superb views over Hayes. The Gatefold Building offers a host of other benefits, as well as outdoor space. A dedicated on-site management team is available to assist residents with any queries they may have and provide peace of mind, while broadband is provided free of charge. Residents also get free phone lines, with evening and weekend calls to local and national destinations included. There are no fees bar a £300 reservation charge, which is then applied towards the first month’s rent. The 119 apartments at The Gatefold Building are available from £1,250 pcm for a one-bedroom home and from £1,450 for a two-bed. Build to Rent is catching on fast, as the UK races to meet the needs of its increasing cohort of private renters. Those developers leading the field, such as the innovative be:here – the brand behind Hayes’ popular Gatefold Building – are shaping the future of urban accommodation. But what is it about Build to Rent that appeals so much to tenants? For 33-year-old Michelle, an NHS Business Manager, Build to Rent was the perfect solution. Michelle loved living in Hayes, with its easy travel links in and out of London, and the new developments and shops resulting from the area’s modernisation. She wanted to continue living locally, but was unhappy with the standard of her privately rented accommodation. Build to Rent offered the perfect solution, allowing her to remain local but choose a better living environment. Since moving into The Gatefold Building in July 2017, Michelle has been enjoying a superior home environment that affords her more freedom than a traditional private rented home would. Local residents looking for something better than the norm can enjoy be:here’s welcoming, pet-friendly approach, low deposits (just a month’s rent), three year tenancies and Habitat furnishings. Build to Rent developments also provide a strong sense of community. The Gatefold Building hosts regular social events for residents and Michelle has highlighted the friendliness of her neighbours as one of the many advantages of living in a purpose-built rental home. She also flagged up the peaceful nature of the development and the reassuring presence of the reception services, which provide residents with support should they need it. Michelle has also taken advantage of be:here’s policy of welcoming pets on site, sharing her apartment with five fish! Apartments at The Gatefold Building are available from £1,250.00 pcm for a one-bedroom home and from £1,475.00 for a two-bed. Every home comes with outdoor space in the form of either a garden or a balcony. Innovative developer be:here as revealed a surge in demand for ‘lock up and leave’ property in London. The finding ties in with data from Statista, which shows that the average person increased their number of holidays abroad from 1.4 in 2016 to 1.7 in 2017. With London’s airports serving such a wide range of destinations, those travelling overseas for both work and pleasure are looking to ensure that their homes remain safe while empty. And for many, a purposefully designed Build to Rent home is the answer. New purposely-designed Build to Rent developments such as The Gatefold Building from be:here located in Hayes, just 4 miles from Heathrow International Airport, present a unique opportunity to cater to the requirements of those who prioritise security as a result of leaving their property empty regularly. Flight crew, for example, have to regularly leave their homes unoccupied whilst at work, so security is a particularly important issue. At The Gatefold Building, security is a top priority. The development is gated and provides an on-site concierge and management team. The groups of air crew in residence at The Gatefold Building benefit from having peace of mind when it comes to the security of their homes while they’re working. Knowing there’s always someone on hand to keep an eye on things is immensely reassuring, particularly in an urban environment as vast as London. The lock up and leave benefits of Build to Rent accommodation apply equally to those who travel on business regularly, as do the additional rewards of living at the award-winning Gatefold Building. These include tenancies of up to three years in length, low deposits (just one month’s rent), pet-friendly homes, free super-fast 30 mbps broadband, regular social events and Habitat furnishings. Soon, tenants will also be able to take advantage of on-site Laundry Republic lockers, meaning that they can take care of their dry cleaning from home with ease. 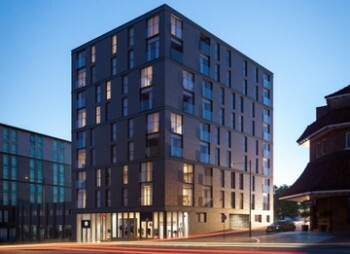 Stylish apartments at be:here Hayes are available from £1,195 pcm for one bedroom and from £1,450 for two. Every home comes with either a garden or a balcony. Leading Spanish home builder Taylor Wimpey España is offering a huge vote of thanks to all those who helped the company smash this year’s Challenge 2018 fundraising target. The money raised – some 323% of the team’s original target – will be donated in equal portions to the Youth Adventure Trust and Llar de memoria. The amount raised by Taylor Wimpey España is almost ouble that achieved in 2018. Meanwhile the total amount pledged by parent company Taylor Wimpey is a staggering £167,575 – the most ever raised by the annual Challenge event. Taylor Wimpey España worked with suppliers, agents, employees, family and friends to raise awareness of the 2018 Challenge, selling T-shirts and holding a ‘solidarity beer event’ in the company’s Mallorca office. The main fundraising activity also saw the Taylor Wimpey España tackle Mount Snowdon – the highest mountain in Wales and the third highest in the UK. Over the course of 10-13 May, the plucky team shot to first position in the Beast ascent hiking competition, beating 19 other teams, while also coming third in the 25-team Dragon ascent hiking and biking contest. The two charities set to benefit from this year’s Challenge work tirelessly to support some of society’s most vulnerable individuals. The Youth Adventure Trust supports disadvantaged young people to build the skills, courage and confidence needed to meet the challenges of daily life. Llar de memoria works to support people suffering from dementia, providing activities and workshops in a day-care centre setting, as well as working with the families of those with dementia. Heartfelt thanks for the support from a wide range of companies, individuals and donors who can be found here. The March 2018 PWC UK Hotels Forecast Update has noted “solid metrics and in many cases record occupancies” in key regional cities around the UK. Indeed, regional occupancy levels have been climbing since 2011, with budget rooms traditionally operating at high occupancy rates, according to PWC. There is an ongoing structural supply shift towards more affordable rooms, as new contenders seek to redefine expectations of ‘budget’ rooms. As a newly opened affordable boutique hotel, Hotel 52 Stanley does just that. 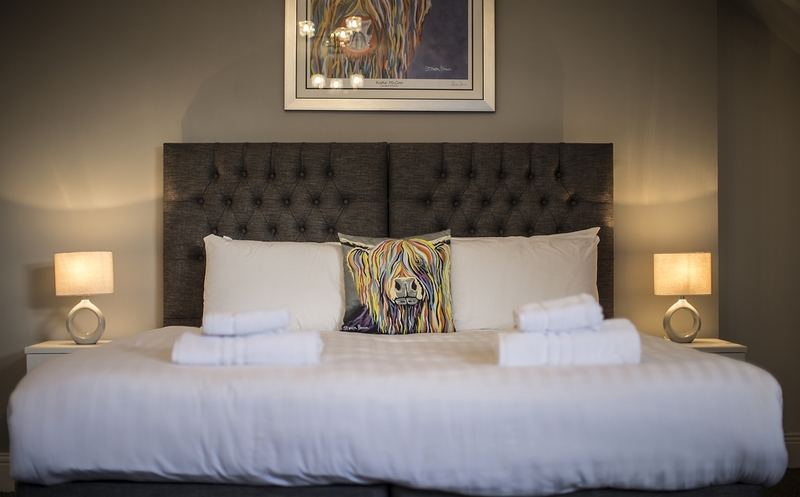 Nestled between Durham and Newcastle, in the former mining community of Stanley, the hotel offers exceptional style at a budget price. Hotel 52 Stanley underwent a £1.5 million renovation in 2017, before opening its doors to the public in December. The hotel now offers elegant rooms at affordable rates, with the adjacent, well-regarded Pazzo restaurant hosting lavish breakfasts and offering a wide range of lunch and dinner options. There’s also a cocktail menu, which is proving particularly popular with holidaymakers looking to unwind after a long day’s sightseeing. And there’s certainly plenty of that to do in the local area. City break devotees have the historic architecture of Durham, with its UNESCO World Heritage protected cathedral and castle, as well as the lively shopping and dining scene of Newcastle within easy reach. Meanwhile, those who prefer a rural escape will find the stunning North Pennines Area of Outstanding Natural Beauty just a few minutes from Hotel 52 Stanley. The area is also home to the ‘living’ Beamish museum – an open-air experience of life in years gone by that’s not to be missed. Hotel 52 Stanley has cause to delight investors as well as guests. The hotel’s 23 apartments include doubles, twins, triples and family suites (all of which come with a fully equipped kitchen), meaning that investors have an excellent range of price points to choose from. Furthermore, PWC has projected average daily rate growth of 2% for UK hotels in 2018, with revenue per available room reaching 2.3% over the course of the year. Whichever way you look at it, it seems that regional budget-boutique hotels will continue to be big business in 2018 – for travellers and investors alike. Investment into Hotel 52 Stanley is from £57,500 with 10% NET yield offered for years 1-5. The Spanish town of Estepona has opened its doors to the world, after undergoing an extensive beautification process. Located in Malaga province, Estepona already offered plentiful sunshine, restaurants serving fresh, healthy Mediterranean dishes, superb golfing and a breadth of local amenities. Now, the town has enacted an ambitious plan to reinvent itself as the ‘Garden of the Costa del Sol,’ with notable effect. Local people have planted as many as a million flowers around the town, while school children have planted trees and local artists have painted vast murals. The town council has also pedestrianised a number of streets, providing residents and visitors with more space to explore its charms on foot. Community spirit is something that has been lost from many English towns and it is refreshing to see it is still alive and well in Estepona. 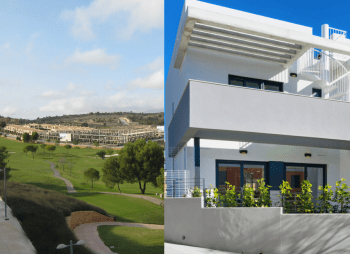 This was a key consideration when leading Spanish home builder Taylor Wimpey España was designing its latest project in the area – Green Golf. The private, gated development has been created to engender a real sense of community among residents, with facilities including communal gardens and shared pools. Green Golf is also in keeping with Estepona’s recent beautification. Not only do the 3 bedroom townhouses overlook the rich natural beauty of Estepona Golf (where residents can enjoy special privileges on all facilities and services), but they also feature an abundance of beautiful shrubs and flowers for residents to enjoy. The buildings themselves are also in tune with nature, from the low-rise scale of the development to the natural ventilation system, solar panels and thermal insulation. Figures from the Spanish real estate analysts at Tinsa show that Spanish property prices increased by an average of 3.6% in the year to March 2018. However, they remain 37.2% below their 2007 peak. This combination of facts is tempting many buyers – both domestic and foreign – to move with confidence when it comes to Spanish property. Taylor Wimpey España is working with UK buyers looking for holiday homes and primary residences that offer the potential for capital growth, and Green Golf is precisely what many of those buyers have in mind. The spacious, light-filled homes with their plush, high-end interiors are proving particularly popular as more and more buyers discover the charms of Estepona. For more information please contact Taylor Wimpey España today on 08000 121 020 or visit http://www.taylorwimpeyspain.com/. If you reside outside the UK, you will need to call 00 34 971 706 972. Mallorca’s beaches aren’t the only part of the island hotting up. 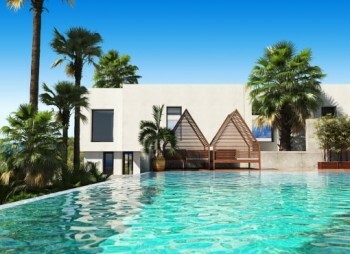 Leading Spanish home builder Taylor Wimpey España, which celebrates 60 years of operation this year, has reported a notable increase in property reservations on the island by British buyers. While reservations on Mallorca overall are up 43% year to date, British growth stands at 36% for the same period. Mallorca offers a blend of sunshine, beaches, mountains and leisure pursuits that appeals hugely to British holiday home buyers. Properties on the island are also attractively priced compared with those in the UK. Stylish two-bedroom apartments are available from €238,500 + VAT at Taylor Wimpey España’s Acquamarina development at Cala D’Or. The spacious homes offer open-plan living that stretches out onto generous terraces for making the most of Mallorca’s climate. Communal gardens bursting with native plants lead to a shared pool for residents to enjoy at their leisure. Private porches and gardens complete the ground floor apartments, while the luxurious penthouses enjoy their own solariums with magnificent views. Prices on Mallorca are responding to the uptick in interest, with TINSA reporting a rise in values in Palma de Mallorca of 14.7% over the past year. Indeed, property values across the Balearic Islands have risen by 10.5% over the last 12 months, according to TINSA. This represents one of the best growth rates of any Spanish region. The potential for capital gains at such rates is of course another draw for British buyers, but many of those who buy do so simply as a result of falling in love with the island. Winding, mountainous cycle routes, sparklingly fresh seafood, a wide range of water sports and stunning beaches that invite endless hours of relaxation are a winning combination. Buyers looking for easy access to the beach will enjoy Cala Murada at Manacor, on the island’s eastern coast. Just 150 metres from the island’s powdery white sands, the impressive townhouses offer delightful sea views, with private gardens and terraces ensuring that owners can soak up the sun while gazing out to sea. Cala Murada is home to just four properties, with this exclusive, gated development providing high end homes in a tranquil oasis. Prices start at €399,000 + VAT. The latest data from the Office for National Statistics’ (ONS) Measuring of National Well-being programme has highlighted loneliness, having someone to rely on and a lack of sense of belonging to their neighbourhood as two of the key issues facing young people today. For young people who are living away from home at university, these issues can be intensified. With this in mind, leading student accommodation and lifestyle provider Fusion Students is working to create the ultimate environment for today’s university students. The strategy involves providing a ‘home away from home’ for all students, whether they come from the local area or half a world away. There are two main elements to the Fusion Students strategy – the physical environment and the social calendar. Working in partnership with site operator Collegiate, Fusion is delivering safe, secure accommodation that provides a careful balance between luxurious private rooms and superb social spaces in which students can relax and have fun with their peers. Eclipse in Cardiff, for example, features an on-site cinema, a gym and fitness suite, a dinner party room and a themed party/events room. Such facilities form the core of the Fusion Students offering when it comes to spaces in which residents can enjoy their leisure time. At properties such as Fusion Tower in Bristol, 24-hour concierge staff also serve to help students feel secure and know that there is always someone around that they can turn to for support. For the social calendar element, Fusion arranges a diverse series of events aimed not just to combat loneliness, but also to allow young people to discover new interests, form lasting friendships and build their confidence. 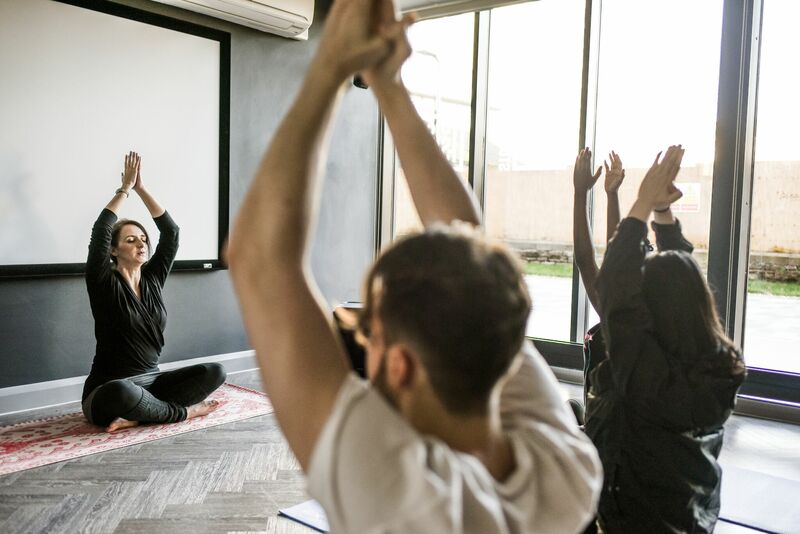 Activities are as varied as workshops with motivational speaker Pete Cohen and weekly yoga sessions. Cocktail masterclasses are planned for the end of May, while dining clubs, which see chefs teaching residents the secrets of their craft, take place between February and June. A glamping trip, gin tasting, BBQs and a zip wire adventure are all being held in the coming weeks. Fusion Students also arranges seasonal events throughout the year, from Easter egg hunts to pancakes on Shrove Tuesday. Domestic and international cultural considerations are taken into account, with Welsh cakes on St David’s day and celebrations galore for Chinese New Year. The social calendar culminates with a lively summer party at the end of the academic year, offering students the chance to celebrate the end of term in style, with those to whom they have grown closest over the course of the past year. Overall, the ONS’s Measuring of National Well-being programme paints a broadly positive picture of UK life. By giving such consideration to the way young people experience their first instance of living away from the parental home, companies such as Fusion Students are doing much to ensure that future surveys report rising levels of satisfaction, as those young people grow into confident, well rounded adults. For more information about Fusion Students please call 0117 405 7852 or visit https://www.fusionstudents.co.uk/residence/eclipse/ for information about Eclipse, Cardiff, https://www.fusionstudents.co.uk/locations/student-accommodation-nottingham/ Nova in Nottingham, https://www.fusionstudents.co.uk/locations/student-accommodation-bristol/ Fusion Tower in Bristol or https://www.fusionstudents.co.uk/locations/student-accommodation-newcastle/ for Plummer House in Newcastle. To book accommodation, contact Collegiate on +44 1235 250 140 or visit www.collegiate-ac.com. Combining his passion for motorsports with his respect for those who follow their dreams, Jonathan Stephens of leading property investment agency Surrenden Invest last year announced that his company was sponsoring promising racing driver Nick Yelloly. Now, Jonathan has announced that Surrenden Invest will be the main sponsor backing Nick’s championship hopes for the 2018 season as well. Nick is racing in the Porsche Mobil 1 Supercup, which started the new season in style in Barcelona over the weekend of 11-13 May. 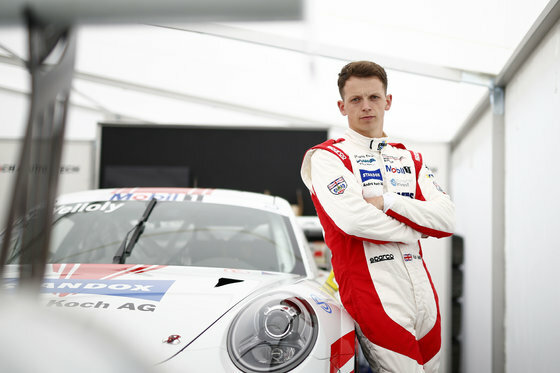 Having worked his way up from racing karts at the tender age of 15, Nick raced in the Porsche Carrera Cup Germany last season, racking up three wins and eight podium positions across the cup’s 14 races. Now, he’s taking to Europe for the 2018 Porsche Mobil 1 Supercup, racing across the continent before heading over to Mexico for the season’s grand finale. With the Porsche Mobil 1 Supercup underway, Nick’s hopes are high. The determined young driver is raring to go, with his sights set on fighting for the championship win in 2018. Boasting more crowds and greater hype than the Porsche Carrera Cup Germany, the Porsche Mobil 1 Supercup delivers an outstanding atmosphere. It also delivers greater exposure to sponsors, which to Nick is an important factor. The Monaco circuit is a firm favourite with many racing drivers and Nick is no exception. Silverstone also makes for a very special race, in part because of its legendary status and in part because, living just 40 minutes away, Nick always has plenty of hometown support behind him when he races there. Surrenden Invest’s Jonathan Stephens intends to be among those cheering Nick on.